and of course, companionship, reading together, or games. If your loved one enjoys their independence but is struggling with everyday activities, elderly companion care is part of the solution. Retire-At-Home Services Toronto and North York will manage your loved one’s daily requirements with specialized elderly companion care, matching their needs with the best available caregiver. If you are looking for elderly companion care for your loved one, you’ll know you’ve provided them with the best home health care services available. Any of these signs are important reasons to find the right companion care services to help maintain a fuller and healthier life. 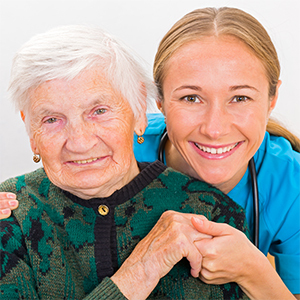 Companion Care is one of our most popular home health care services. It supports the wellness of seniors who don’t get out of their home frequently, and who are home alone for long periods of time with no social outlet. Loneliness is very common with our seniors, and loneliness has even been linked to urine incontinence in some cases. If your loved one could benefit from a friendly face coming by to supply conversation, a game of cards, or to share a meal, give us a call to discuss our companion care. The level and amount of companion care that we provide depends on the specific needs of our clients, and personal care can always be added. One of the reasons why we assess our clients before we start companion care services is so that we can create a customized care plan for our caregivers to follow based on the client’s unique needs. Caregiver burnout is common and real. The best prevention of caregiver burnout is to have regularly scheduled breaks from care giving. If the family caregiver can anticipate (and look forward too) scheduled breaks – say two or three afternoons a week – the family caregiver can schedule appointments and social outings with ease and joy. Our companion care services can help. Each Retire-At-Home Services client receives a personal, in-depth consultation by our Registered Nurse. This consultation takes into account the health status, personality, environment, and challenges facing the client. This knowledge is then used to create a personalized care plan that strives to improve their health and enhance their quality of life. Along with continual oversight by our case managers, our caregivers and staff can quickly modify a client’s plan of care as their needs evolve. At Retire-At-Home in Toronto , we always keep in mind that what you need is more than simply a friend, you need a companion in whom you can trust, and who you know will always be looking out for your safety, can help you with outings, and is devoted to ensuring that even the littlest of things that are important to you in terms of yourself and your home are managed and maintained. If you think your loved one needs companion care, call us to discuss your options at 416-479-9659 (Toronto West) or 416-423-0963 (Toronto East). You can also fill out the form on the right-hand side of this page. Read more about the benefits of Companion Services, and a day in the work life of a home care companion.